At Flagger Force, we take the training of our crew members very seriously. Our Safety-Driven culture pervades every aspect of what we do and is an integral part of how we run our business. The nature of temporary traffic control means that situations can evolve quickly and static safety measures simply won’t do. We take a dynamic view of work zones and ensure that our traffic control professionals anticipate traffic movements and react to situations as they happen. 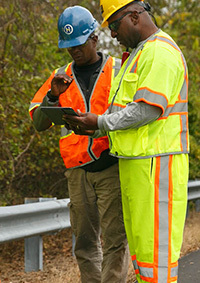 As an industry leader in traffic control and one of the first organizations to treat traffic control as a career and not simply an afterthought, Flagger Force has the knowledge, experience and size to have a real impact in the safety of road construction and other roadwork zones across the Mid-Atlantic area (including PA, DE, MD and VA). 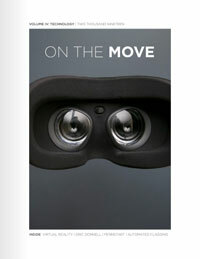 With 1500+ employees and more than 20% annual growth, we continue to lead the industry. Flagging-Our new hires will be trained in proper procedures for controlling traffic safely and efficiently. This course is consistent with ATSSA training requirements which is representative of the industry standard. Safety-Our new hires are given in depth training to assist them in learning the proper techniques and best practices to insure their safety, our Clients safety and the motorists we are assisting while on the road. This class is a hour class. All Crew Members submit a self-nomination form stating their interest in being considered for promotion. Those who have demonstrated good working knowledge and adherence to our policies and procedures are scheduled for this training. Upon successful completion of the training, the Crew Member is promoted to Crew Leader and as such is eligible to operate a fully equipped company truck and take on the responsibility for setting up safe and compliant work zones. Crew Member is promoted to Crew Leader and as such is eligible to operate a fully equipped company truck and take on the responsibility for setting up safe and compliant work zones. This course is designed to provide instruction and training for advanced and complex Work Zone setups. Attendees must have demonstrated success in performing the tasks and responsibilities as a Crew Leader before consideration for further advancement. Upon successful completion of this level of training the attendee will have demonstrated the knowledge necessary to perform the following setups in a safe and compliant manner. This course is designed to provide existing Advanced Crew Leaders with a deeper and more thorough understanding of complex setup requirements. This intense training is focused on complex and large setups and integrates an increased focus on leadership, conflict resolution and Client relations. This training is specifically designed to identify candidates for consideration for advancement to a Supervisory position. This course is a two-part training program encompassing classroom training and on the road observational instruction. The Smith5Keys are five straightforward concepts that are simple to learn, easy to remember and very effective in changing your driving behaviors. It is not an overstatement to say that this training is behavior altering. The classroom and on-road training regimen encompass a full day of training stressing the need for all of our employees to drive defensively by practicing the 5 principles of Smith Driver Training which are designed to reduce our vehicle incidents and liabilities. Professional Leadership and Communications Training for Crew Leaders and Advanced Crew Leaders. Topics include Flagger Force Expectations, Flagger Force Vision, Mission and Values, Leadership, Techniques for Communicating, Influencing and Winning People to Your Way of Thinking, Conflict Resolution, Self-Discipline, Ownership, and Teamwork. Curriculum includes information from How to Win Friends & Influence People, Dale Carnegie and Extreme Ownership, Jocko Willink and Leif Babin. 4 hours. A values driving training program for selected employees. Topics include Leadership and Management, Characteristics and Skills for Leaders Managers, 1:1 Coaching, Change Readiness and Managing Change, Delegation and Conflict Management. Seven 3 hour sessions. Provides first time team leaders and managers practical tools for managing people effectively. Discussions center on the One Minute Managing Technique, why it is successful and how to adapt it to the various roles and positions within our organization. Three 1 hour sessions. An upper level curriculum designed for high performing office employees interested in gaining an in depth understanding of management and leadership skills as they pertain to all the departments within Flagger Force. The curriculum is self-paced over ten months. This allows individuals to continue with their current position during training. Although individuals will be advised by the Organization Development Department throughout their instruction, employees enrolled in the course are responsible for coordinating the completion of the training with their supervisor to avoid adversely affecting their current job responsibilities. Individuals successfully completing the course will be strongly considered for future management positions within our company. We know that safety doesn’t happen naturally — it takes a conscious and consistent effort to ensure our employees, construction zone workers and people moving through jobsites are kept out of harm’s way. To instill our safety-driven culture in our traffic control company, we created a unique and effective form of training that is respected throughout the industry. We offer excellent visibility to safety and reinforce it as one of our core values. 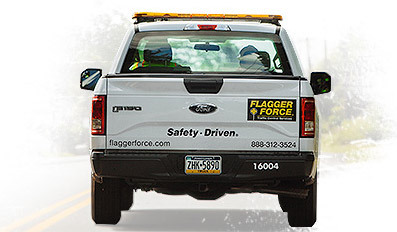 At Flagger Force, safety isn’t an afterthought, an addition or a secondary function. It is a pillar of how we run our business — and how our workers approach every work zone. We exceed training standards. Up until a few decades ago, traffic control wasn’t considered a career, and it wasn’t particularly well respected. We legitimized it as an important safety function and reminded our clients that our traffic guards are well trained in all aspects of road construction zone safety. Our academy offers members across our organization the opportunity to share stories, ideas and best practices. 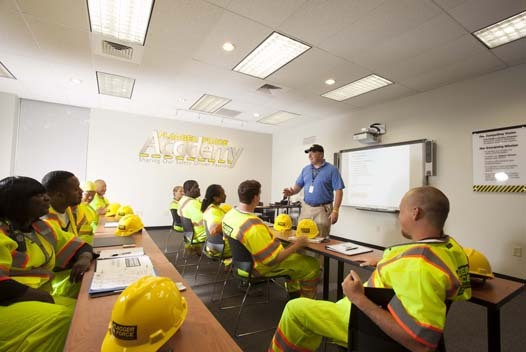 We value the input of every employee and share lessons with every flagger in our academy safety training. We offer on-the-job training for all crew members. Our more experienced field leaders and supervisors can share their wealth of knowledge and give useful examples of the importance of safety on temporary traffic control situations. Traffic control safety affects more than road construction workers. The general public passes through temporary construction zones all over the Mid-Atlantic area every day. Our entire Flagger Force team wants to make sure that everyone arrives home safely, and we’ll continue focusing on safety, as we always have, to meet this objective.